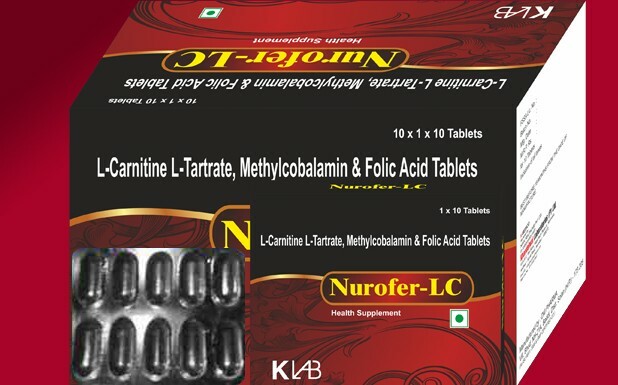 L-Carnitine L- Tartrate is the purest form the l-carnitine available. It is active form of the l-carnitine. It is an amino acid produced naturally in the body to help burn fat and increase circulation. The overall effect of its use within the body is to produce energy. It is used for muscle movement as well as brain and heart function. Carnitine is used for the treatment of the many conditions because it acts as an antioxidant. Antioxidants can neutralize free radicals, which damage cells and tamper with DNA. Carnitine and weight loss: L-carnitine is a potent fat burner because it is responsible for the transport of fats into the cells to be used for energy in the body. By raising the level of muscle carnitine, support fat burning process, increases energy levels. Prevents type 2 diabetes and improve insulin health: Carnitine is emerging as a supplement that can prevent type2 diabetes because it improves fat metabolism. It counters the disease of metabolic syndrome by preventing atherosclerosis and supporting cardiovascular health. Male infertility: low sperm counts have been linked to low carnitine levels in men. Carnitine supplement may increase sperm count and motility. Hyperthyroidism: L- carnitine may helps prevent or reduce symptoms of an overactive thyroid, such as insomnia, nervousness, heart palpitation and tremors. Pharmacokinetics: 54 to 68% of carnitine is absorbed in small intestine and enters bloodstream. Rather than being metabolize excess of the carnitine is excreted in urine. How it works: L-carnitine burns fat by promoting movement of fatty acids into the mitochondria, which burns fatty acids to make energy. 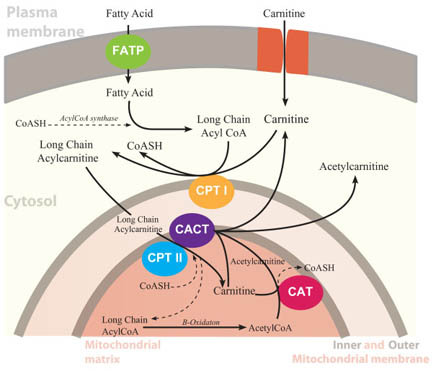 Fatty acids cannot move into the mitochondria without L-carnitine. Folic acid is a form of the water soluble vitamin B9. Folic acid is a key factor in synthesis of nucleic acid ultimately synthesizes DNA & RNA. It prevents folate deficiency. Folate deficiency may lead to peripheral neuropathy, insomnia, dementia and depression. It is the potent form of vitamin B12,system being also very important for cell growth and production. It is neurologically active form of the vitamin B12. Methylcobalamin is used in variety of processes, including: production of red and white blood cell, the regeneration of RNA and DNA, synthesis of proteins, nerve cell and sheath maintance and maintenance of bone marrow. It is used in treatment of the peripheral neuropathy, diabetic neuropathy, and people deficient in vitamin B12. Hemoglobin synthesis: Vitamin B12 helps to make hemoglobin; a protein body uses to transport oxygen. Each hemoglobin protein contains four heme molecules. Vitamin B12 helps to synthesis heme portion of the hemoglobin. Thus helps in preventing anemia caused due to vitamin B12 deficiency. Methylation: Vitamin B12 functions as methyl donor. Many important biochemical functions rely on this process, such as proper energy metabolism, immune function, and nerve function. More specifically, a methyl donor helps in the production of several brain chemicals and hence improving cognitive functions, mood, energy and sleep. Myelin production: Vitamin B12 also helps maintain healthy myelin. Myelin surrounds and insulates each of nerve cells, helping electrical signals travel quickly through nerve system. Damage to myelin prevents nerves from communicating effectively and hinders nerve system function. Cimetidine Sulfasalazine and antacids appear to reduce folate absorption. Vitamin B12 supplements concomitant use should be avoided with antibiotics in particular with tetracycline. Antiulcer medicines should be avoided.